Shaums tearing up some trails in Squamish, BC. March Northwest is led by coach Shaums March, a two time Downhill masters World Champion, former Red Bull athlete, and technical skills coach for the USA Cycling National and Olympic team. Shaums has coached multiple riders to National Championships, and 5 of his riders have won World Championship titles. Shaums has more than 20 years experience coaching, running youth programs, adult clinics, professional team building programs and one on one training. Shaums is passionate about mountain biking, helping people build confidence, have fun, and build skills on their bikes. He enjoys spending time with his family, enjoying the great outdoors together. Full-time mom - part time mountain bike instructor. 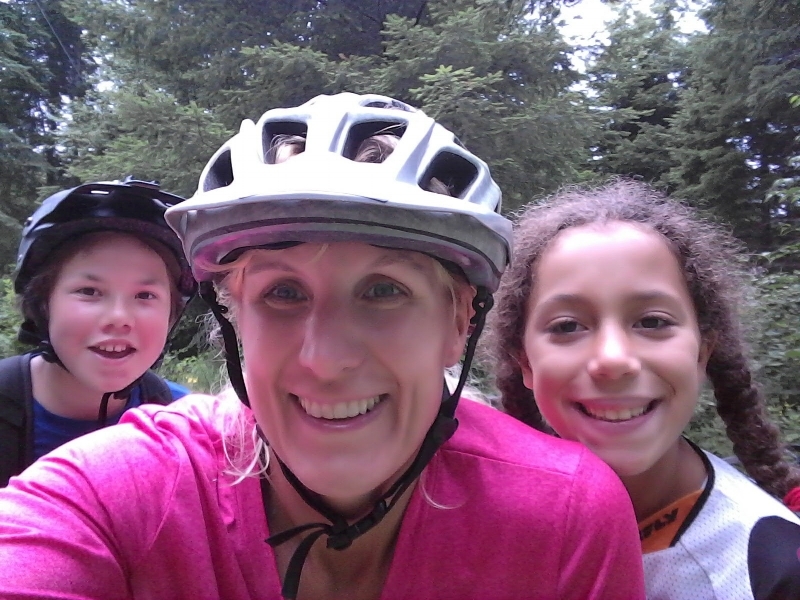 Zoae spends her time raising three boys, instructing a variety of mountain bike clinics and growing the women's mountain bike scene in Bellingham, WA. Zoae’s fun teaching style makes learning new skills a positive experience. She started mountain biking in Spokane, WA in 2004, and calls Bellingham home since 2005. Zoae is a certified BICP Level 2 coach. I'm an outdoor enthusiast & a bit of an adrenaline junky. I grew up in Wyoming and skied throughout my childhood & learned to mountain bike when my family moved to Montana when I was a teenager. I immediately fell in love with the sport and the community within it, I have always raced and while it was never a goal to race world cups, it's still a great way to ride faster & challenge myself. I relocated to Washington to have access to better dirt and more freeride trails. I have raced in the Pumptrack Challenge, Air DH and most recently competed in the Whip Off World Championships at Whistler's Crankworx. I love filming, inspiring and encouraging others to ride and progress. My best days are usually spent in the woods on my bike or playing in the dirt with good friends, boyfriend, and my dog. I have been riding for the past 8 years and try to get out on the trails as much as I can. I have a year of experience coaching mountain biking through Sweetlines and excited to get the opportunity to coach with March Northwest. Everyday you get to ride your bike is a good day so get out there! 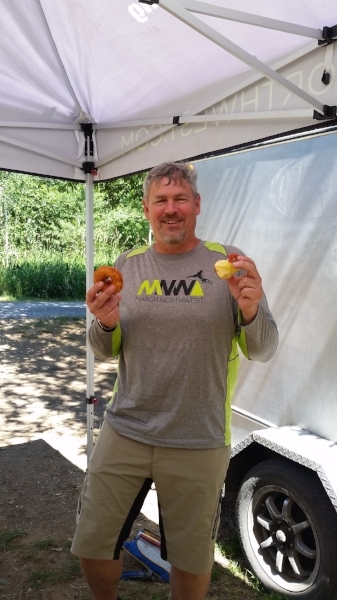 Tyler is a Bellingham native and has been riding mountain bikes since the mid 1990’s. He prefers the “old school” trails like Whoopsie Woodle, but has an appreciation for the faster flowy trails that have emerged in recent years. Even though he’s been riding for over 20 years, he still can’t do a good wheelie. That’s the great thing about biking – ALWAYS something to improve on! When not on the bike he’s likely spending time with his wife and 2 kids or out playing in the woods. Joel is a retired US Navy aviator who has been riding bikes since he was about 4 and “real” mountain bikes since 1998. He started as a Parent Volunteer with MarchNorthwest, riding with his daughter and helping with the kids rides and larger groups. Before joining the Navy, he was a certified Sailboard instructor and taught whitewater kayaking. In the Navy, Joel did multiple instructor tours, instructing aviators in the finer points of tactical carrier based flying. He likes long distance, point-to-point rides and believes you should earn your descents by pedaling up the hill! Joel is a BICP Level 1 certified coach. Elliott joins us from the mid-west outside of Chicago. Elliott leaves behind a career in heavy equipment operating to pursue Mountain biking and other adventure sports.Elliot is certified as a BICP Level 1 & 2 instructor. He brings his experiences of being a guide and instructor at the National Boy Scout camp, where he spent his time as the Trail Crew lead and Instructor.